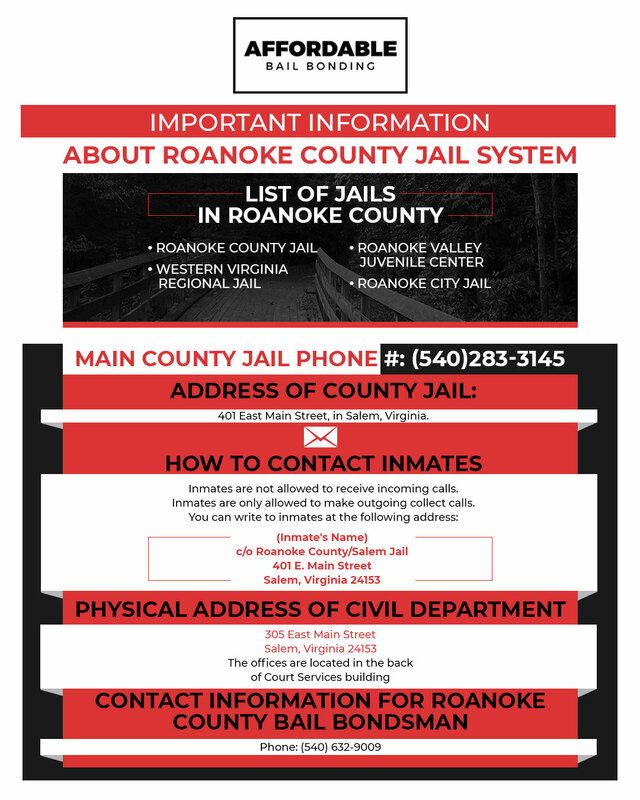 If you have a loved one that has been arrested in Roanoke County, you might be looking for some important information about the jail system. As your local bondsman in Roanoke County, we are here to help you. We have compiled important information you might be looking for to help you as you navigate the system your loved one was recently placed in. We can work with you to secure bail as well, so please do not hesitate to reach out to our team for help. If you can’t find the information you are looking for or you aren’t sure how to help your family member or friend post bail, contact us for assistance. We are available 24/7 so there is no wrong time to reach out to our team. If you have a loved one who has been arrested in Roanoke County, you may have some questions about what you can do next. We are here to help you navigate this system and will work with you to secure your loved one’s freedom if they can post bail. The following are some common questions about the local jail system answered below. How can I search for my loved one? You can utilize the inmate database found here to look for your loved one and to find out where they are being held. If you are having trouble finding your family member or friend, you can also contact the county jail’s main office for assistance. How do I get to the main county jail? The Roanoke County Jail is located at 401 East Main Street, in Salem, Virginia. In order to reach the jail, you will want to exit off of Interstate 81 on exit 140, the Salem / Roanoke College exit. You will head to East Main Street where you will find the jail and courthouse complex. The building is located at the intersection of Thompson Memorial and East Main Street. Can I call someone who is being held at the jail? Unfortunately, inmates are not allowed to receive phone calls so there is no method for you to call someone being held in jail. Inmates are allowed to make outbound collect calls during normal hours of operation. Can I write to an inmate? You can send letters to inmates being held at the jail. Be sure to put the inmate’s name above the address as well as ℅ Roanoke County/Salem Jail. Use the physical address of the jail for all inmate mail. If someone you loved was recently arrested in Roanoke County and you are uncertain of how to reach them or what to do next, we invite you to contact our team. We are here to assist you with navigating the complex justice system and we will do our best to secure your loved one’s freedom. 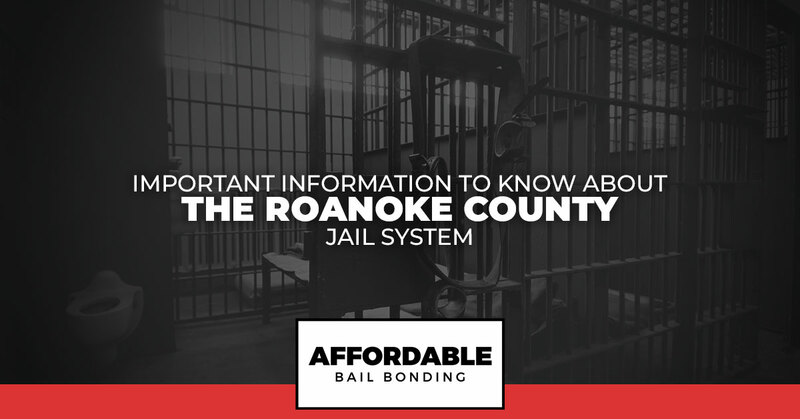 If your family or friend was given an amount of bail they can post in order to leave jail, our Roanoke County bondsmen will assist you in posting bail. You simply pay us a fee, around 10 percent of the bail amount, and we handle the rest. We understand how stressful of a situation this can be and we will offer you professional and kind assistance. Instead of worrying alone at night, wondering what to do next, call our team. We are available around the clock, so there is no bad time to reach out. We look forward to helping ease your stress and give you peace of mind as we locate your loved one and assist them with posting bail to get out of jail.